Michele Kamens, a Rider professor known for her significant impact on the special education program, passed away on Dec. 8 of last year. An advocate for education from an early age, Kamens began her teaching career at Rutgers University where she earned a degree in elementary and special education. 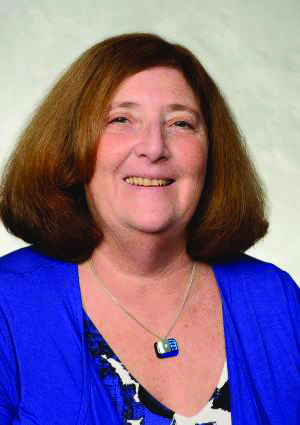 After eight years in the teaching field, Kamens dedicated her time to supervising student teachers at Rutgers and West Chester University in West Chester, Pennsylvania before accepting a position at Rider in 1998 to develop its special education program. Kamens spent 20 years in the program and earned several accolades during her time at Rider. In 2008, she won the Nasim Dil Award for Outstanding Service to Teacher Education for her contributions to Rider’s program and, in 2011, she took home the Frank N. Elliott Award for Distinguished Service. Kamens also co-founded the study abroad program for special education students. Christine Fityere ’05, a former elementary education major, said that Kamens played a major role in her college career. She is survived by her three daughters and two granddaughters. Special education professor Michele Kamens passed away on Dec. 8.